Now, I am not wishing my summer away, as memories of a cold, snowy winter that just would not go away, still linger. Let's just say that last winter overstayed its welcome. But...fall is right around the corner, and it is my favorite season of all. 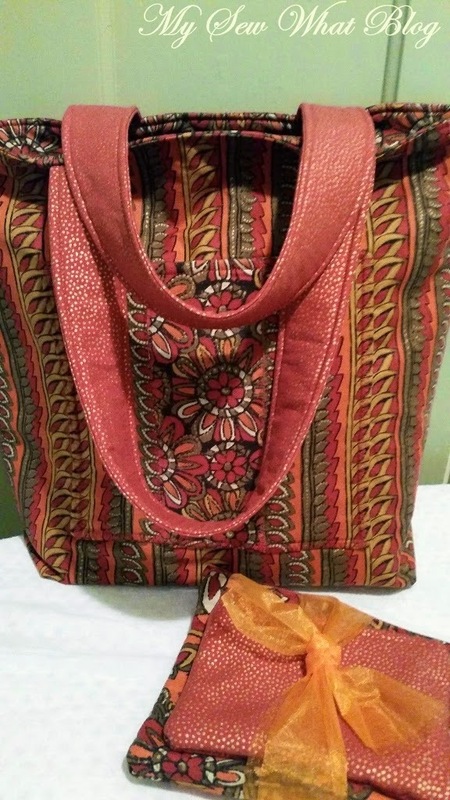 It's no wonder, that when I saw a bundle of fat quarters in all my favorite fall colors, I snatched two bundles up and made them into a tote and pair of cosmetic cases. 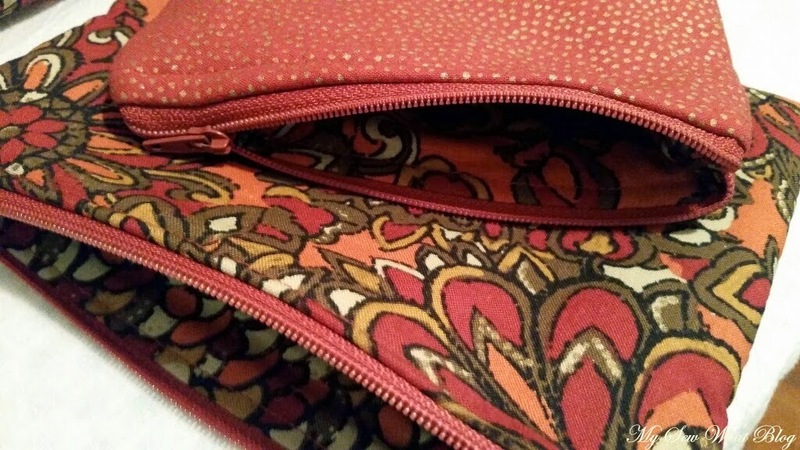 There's still some fabric left--probably enough for another set or two of zippered pouches. 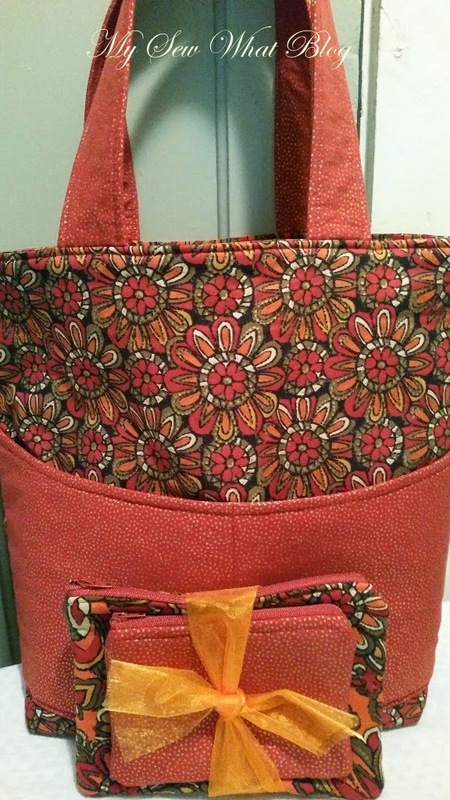 I will be adding this fall bag and cosmetic case bundle soon to my newly opened Etsy shop. Yes, I finally got it up and running! 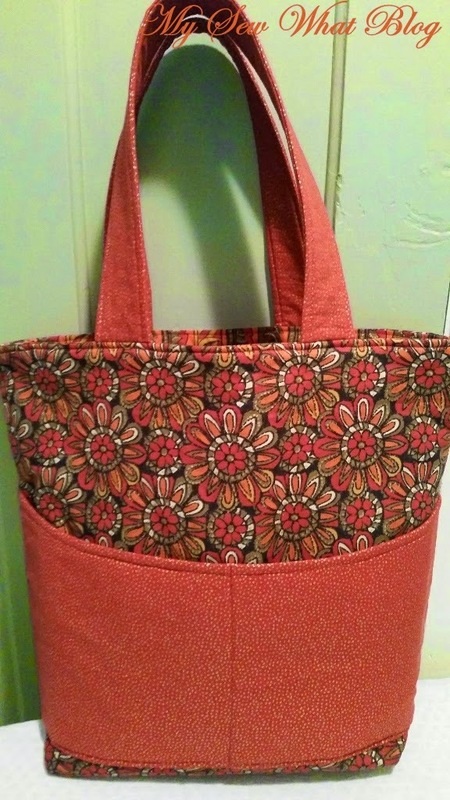 See my sidebar for a link to my shop and a sneak peak of what's in there. This is what the inside looks like. 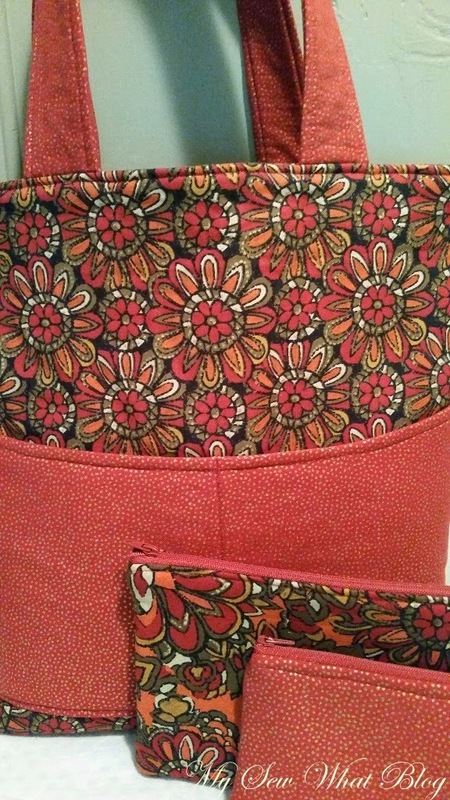 I pieced the pocket together from three vertical strips of two coordinating fabrics, added fleece interfacing and quilted it with a zigzag stitch to be a little different. 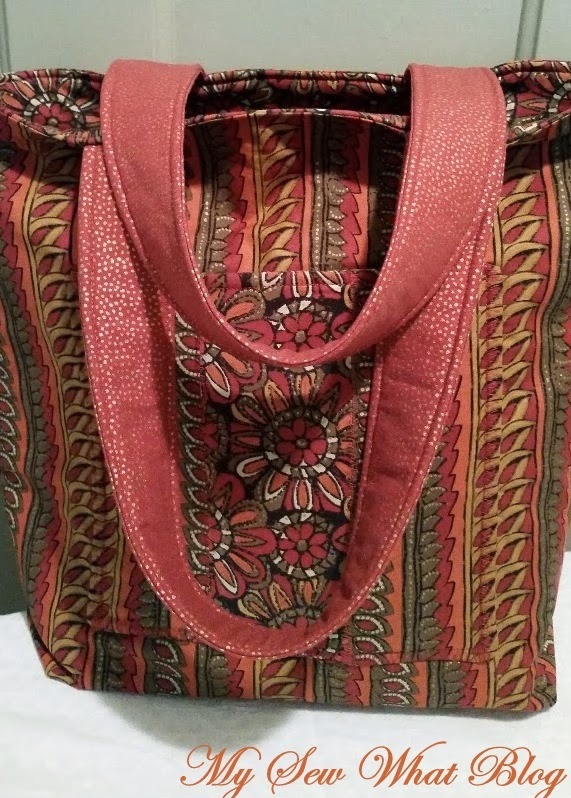 The bag can be used either way. 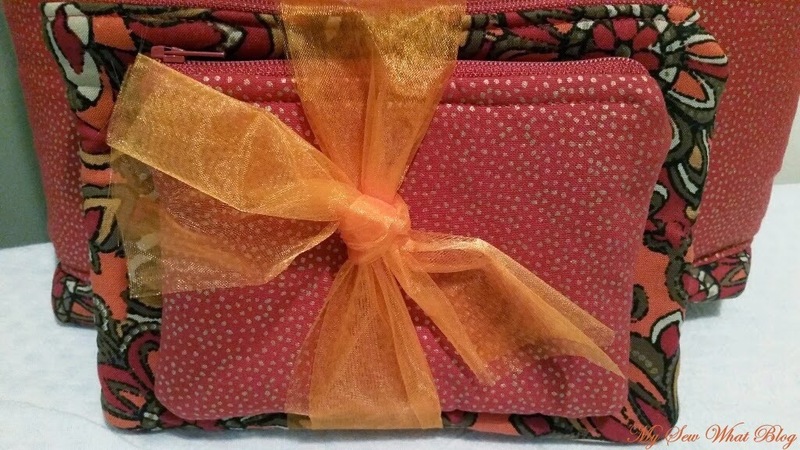 Here is the matching cosmetic case. Here's a peek inside. 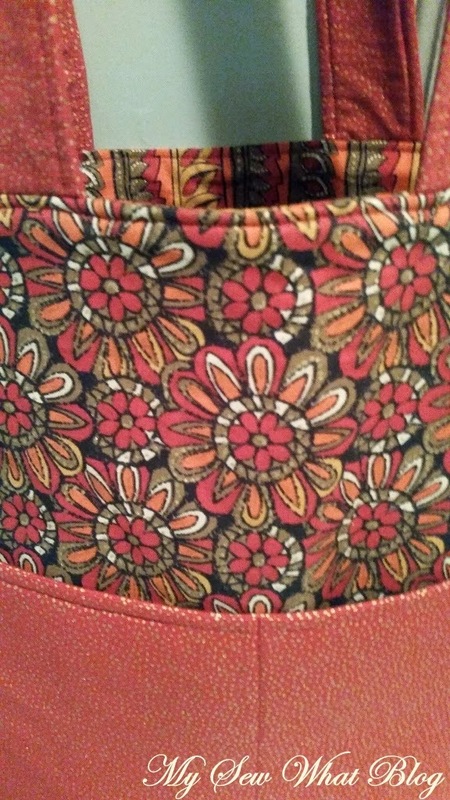 I love the fabric on the outside of the larger cosmetic case. It's on the inside of the smaller case too. I really like the way it looks inside out! 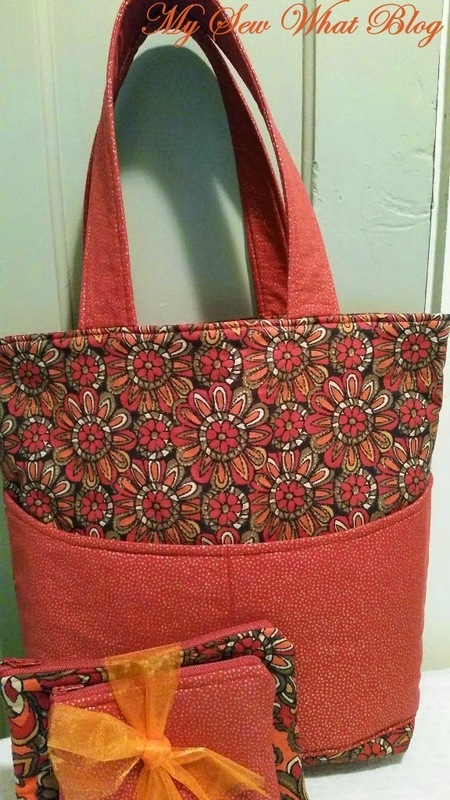 This orange pocket on the front of the bag has flecks of gold in it. I am still enjoying my mild summer (we have not had a heat wave in NH yet which is very unusual--but yeah!) but I am really looking forward to fall. I love everything about it except that is seems to slip away too quickly. August is a busy month for our family and with all of the extra activity, the rest of the summer will fly. Hope you are all enjoying your summer!